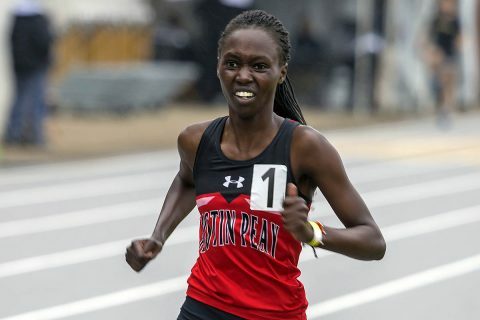 Cookeville, TN – Austin Peay State University track and field had to battle some adversity on Saturday’s final day of the 2018 Ohio Valley Conference Outdoor Track and Field Championships, hosted by Tennessee Tech at Tucker Stadium. 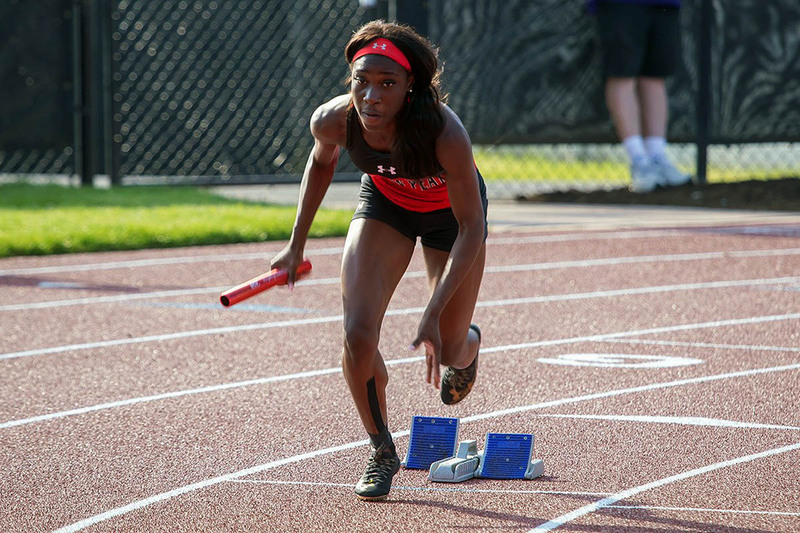 The Govs finished with 54.5 points, placing ninth overall. Host Tennessee Tech won the women’s event. 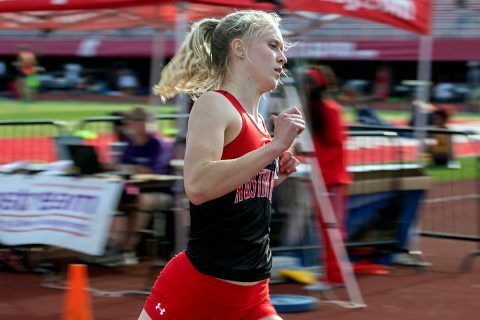 Cookeville, TN – Austin Peay State University Track and Field pole vaulters picked up the big points and the sprints positioned themselves well for a big move on Saturday’s final day of competition at the 2018 Ohio Valley Conference Outdoor Track and Field Championships, hosted by Tennessee Tech at Tucker Stadium. Clarksville, TN – At long last, Austin Peay State University track and field gets the chance to put it all together against the Ohio Valley Conference’s finest competition as the APSU Govs travel to Cookeville Tennessee for the 2018 OVC Outdoor Track and Field Championships, hosted by Tennessee Tech at Tucker Stadium. 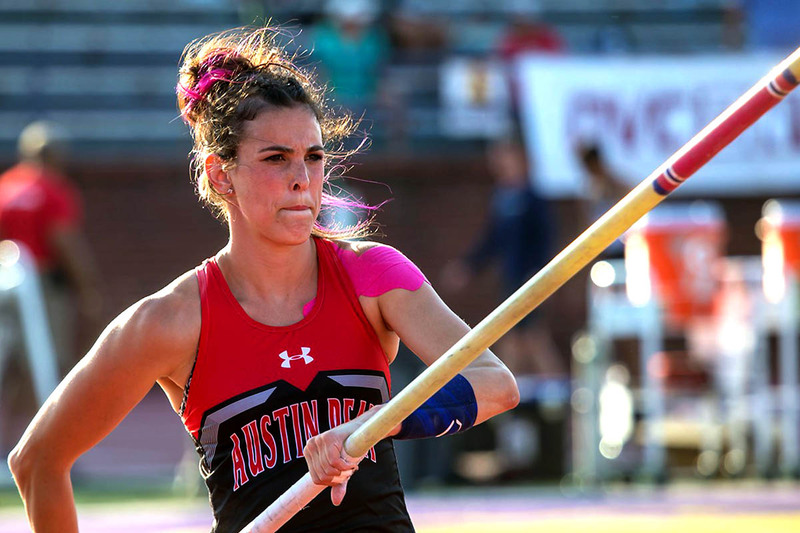 Austin Peay seeks its fifth consecutive top-five finish in OVC Outdoor competition. Last season, APSU’s 87.33 points placed them fifth, less than four points behind third-place Tennessee Tech. Clarksville, TN – In the last of three Sgt. 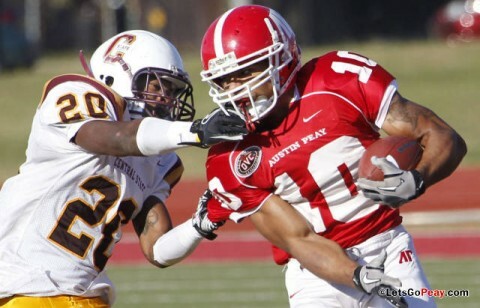 York Trophy games this season, the Austin Peay State University football team will square off with Tennessee Tech looking to clinch the program’s first series win. Kickoff is slated for 1:30pm, Saturday, November 4th, 2017 at Tucker Stadium in Cookeville Tennessee. Brentwood, TN – The Saturday, November 4th football contest between Austin Peay State University and Tennessee Tech has been selected as the “Wildcard Selection” in the league’s Game of the Week football package on ESPN3. 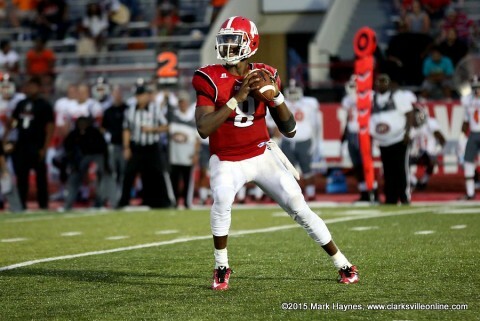 The game will kickoff at 1:30pm CT at Tucker Stadium in Cookeville Tennessee. 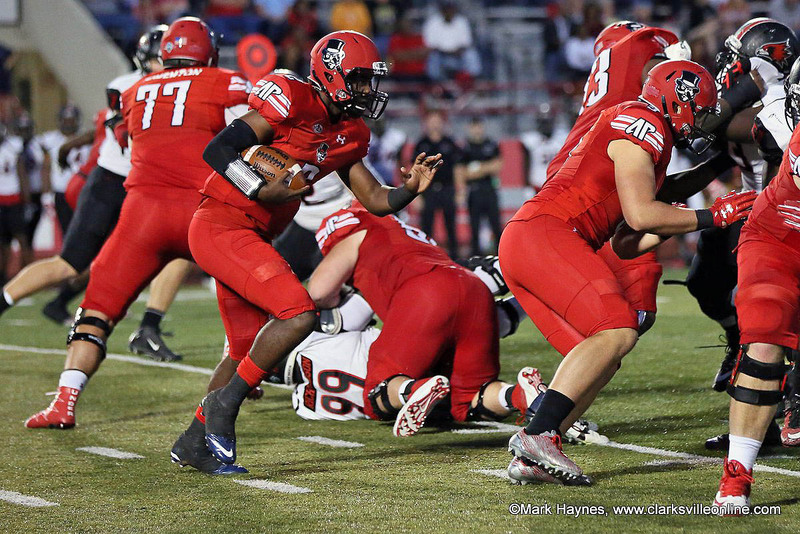 Cookeville, TN – In a tale of two halves, Austin Peay State University’s second half against Tennessee Tech mirrored all-too-well the 2015 regular season as a whole, with the Govs falling 42-24 at Tucker Stadium to wrap up the 2015 season. 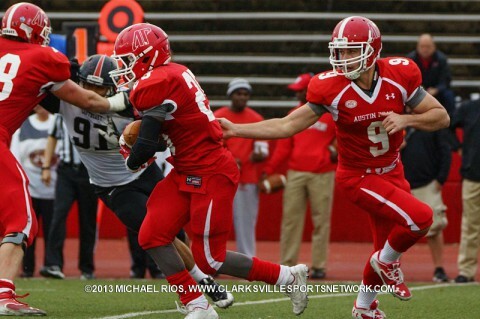 Clarksville, TN – For the final time in 2015, Austin Peay State University football team takes the field Saturday, traveling to Tennessee Tech for a 1:30pm kickoff at Tucker Stadium. 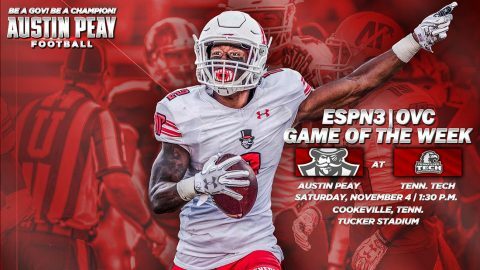 Austin Peay hopes to end 2015 on a high note against a two-win Tennessee Tech squad that has lost five straight (average deficit: 25.2 points) since a two-game winning streak in late September. 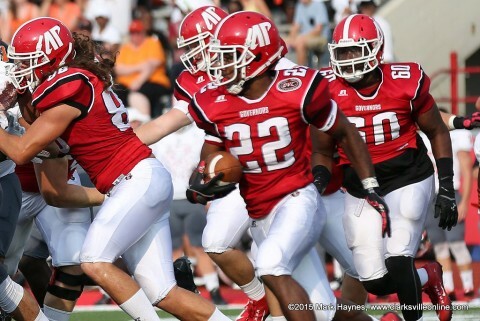 Austin Peay Football plays Tennessee Tech to end the season Saturday. 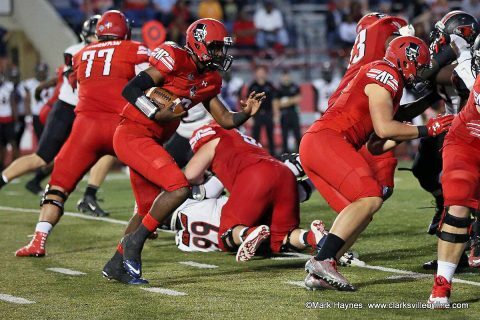 Cookeville, TN – Austin Peay State University football team suffered its final setback of the 2013 season, falling 34-0 at Tennessee Tech behind three rushing touchdowns from tailback Stephen Bush and 153 yards on the ground by quarterback Darian Stone. Cookeville, TN – In its season finale, Austin Peay’s football team still has something to play for – the coveted Sgt. 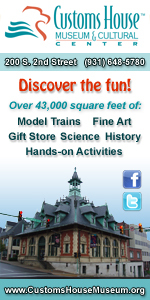 York Trophy. The Govs remain in contention for the in-state trophy, needing a win against Tennessee Tech, 1:00pm, Saturday, in order to bring the trophy to Clarksville for the first time. The Golden Eagles, meanwhile, are in a similar situation. Heading into the final regular-season weekend, Tennessee Tech is on the verge of their first Ohio Valley Conference football championship since 1975.